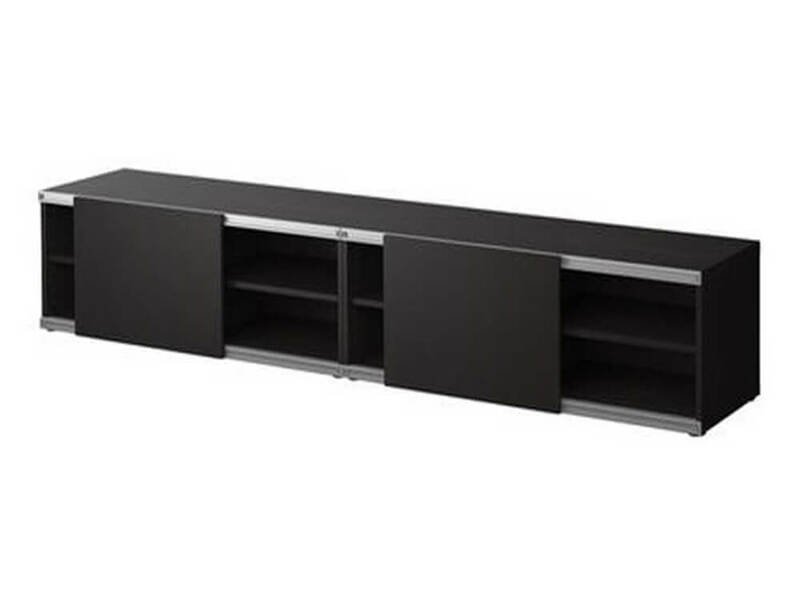 The Zaid TV stand is a lean, black wooden piece with a front shelving system and sliding drawers. The Zaid TV Stand will not only fit a wide range of TV widths, but it will display any TV in a very stylish way. The stand will hide electronic devices and cords for an organized and sophisticated look. Rent from Inhabitr today to enjoy the Zaid TV Stand in your living room or family room.